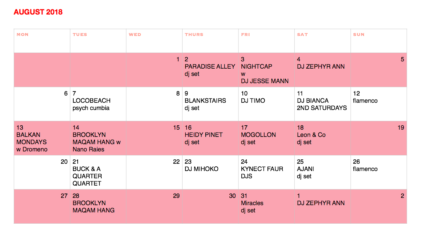 working calendar of upcoming music events at Sisters. all events are free (although donations are strongly encouraged for live music programming). also check our facebook for further details about our events, and feel free to call or message for more info.